MF DOOM‘s debut solo album. Release date: April 20, 1999. 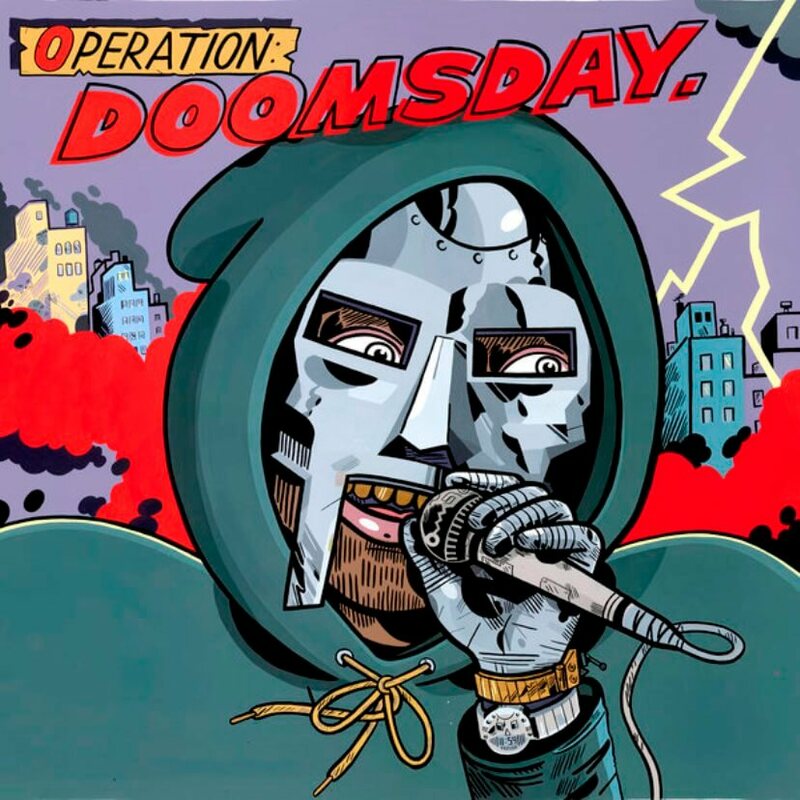 Operation: Doomsday is the debut solo album by British-American emcee/producer MF DOOM, marking his return to the Hip Hop scene after KMD’s demise. It was released as CD & 2/LP on Fondle ‘Em Records in April 20, 1999, and reissued by Sub Verse Records in 2011 with a slightly altered track listing. The album was financed by MF Grimm who also supplied many of the samples in his capacity as executive producer. The album was recorded in his basement. Despite this, he has never been paid any of the royalties he was entitled to, leading to a beef between the two artists for a period of time in the mid-2000s. Despite being reissued, the CD went out of print sometime between 2003 and 2004, quickly becoming an expensive collector’s item, while the LP stayed in print for much longer. The original cover was designed by LORD SCOTCH 79th. The album was released on iTunes in May 2007 and widely re-released on MF DOOM’s Metal Face Records on October 7, 2008. 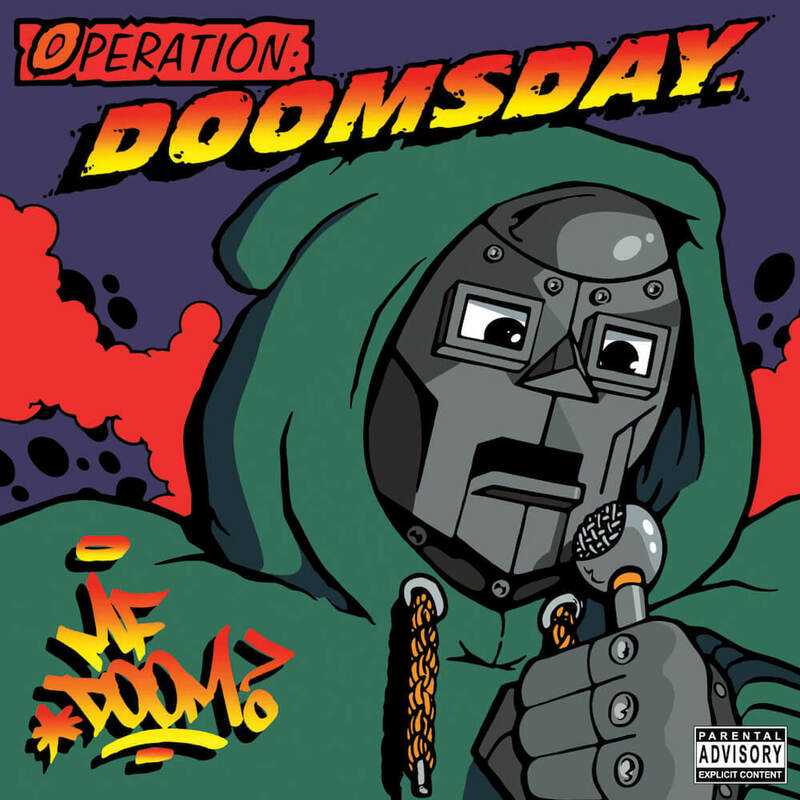 It was announced on December 16, 2010 that Operation: Doomsday was being reissued in 2011. The reissue cover was designed by Jason Jagel, who did the art for Mm.. Food. It was reported that there were licensing issues with the original artwork that caused problems with reissuing.